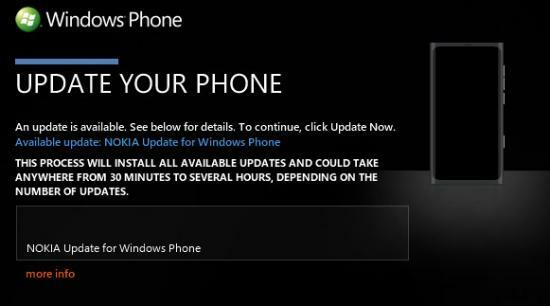 Nokia announced at the end of last year that two updates would be hitting the Lumia 800 to fix a number of issues that were present. We've already received the first firmware update, but it's time for those who suffer from 800s that aren't using the battery capacity in its entirety to receive some love. Operators in France have started to push out the second update, so we should see some movement across the board soon. For reference, the firmware version changes are found below, including the first update. We haven't yet got the notification on any of our Lumia 800s. Let us know in the comments if you're also receiving this update for your handset. EDIT: Nokia UK has confirmed the start of the rollout on their Facebook page, check out a video walkthrough after the break on updating should you be new to the platform. UPDATE: We've received reports from readers who have updated to the latest version that the lighting of their soft keys are acting up should medium or high brightness be set. If you're also experiencing this issue after updating let us know in the comments. Source: Professeur Thibault; thanks, James, for the tip!